The event also marks 10 years of Louth Contemporary Music Society concerts. To thank all our concert attendees, supporters and funders over the past 10 years, this will be a free event. Tickets are free but registration is required through https://www.eventbrite.ie/e/blissful-pentecost-tickets-20830054253. Louth Contemporary Music Society is financially supported by The Arts Council and Create Louth.Louth Contemporary Music Society 10 years of music 2006-2016. Blissful Pentecost performance costs are also supported by Forberg Schneider Stiftung. The commission was funded by Norsk Komponistfund. Additional travel sponsorship was provided by Music Norway. Hans Abrahamsen: Air ( 2006) accordion solo. In Solør, the area where I grew up, a terrible tragedy took place on Pentecost 1822. Between 113 and 117 churchgoers – mainly women and children – were killed when the Grue Church caught fire during the service. 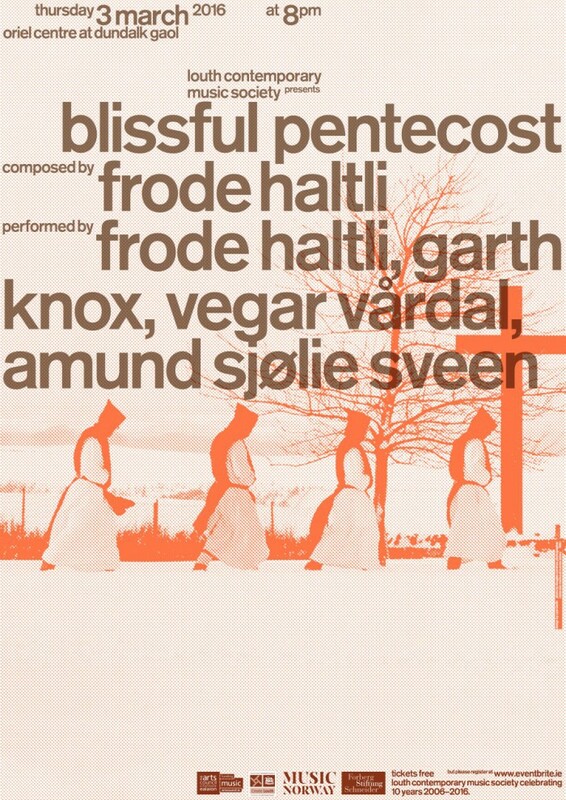 The event is, strangely enough, not regarded as an essential part of Norwegian church history. Peter Wessel Zapffe brings this up in his novel “Blissful Pentecost – Four Dialogues with Jørgen”, where the tragic event is thoroughly described through historical sources, and also serves as the starting point for a philosophical discussion around the Problem of Evil. A more violent event took place in St. Peter’s Church in Drogheda, Ireland, in 1649. Oliver Cromwell’s Parliamentary forces burned the steeple of the church where about 100 people had taken refuge. Cromwell is of course a major, yet controversial, figure in Irish and British history. And this incident in Drogheda still has resonance to the present time. Eamonn Quinn in Louth Contemporary Music Society made me aware of the connection between these two tragic events when he heard Vegar Vårdal and me perform the traditional pols dance that, according to the local tradition, the devil himself played on his fiddle up in the steeple of the Grue Church as it burnt down. It is a jolly, almost ironic dance tune in a Major key. Other popular expressions at the time dealt with the tragedy, like the songs that described the fire, one of them with one verse for each of the victims! The piece is written upon commission by Louth Contemporary Music Society/Eamonn Quinn with support from Norsk komponistfond.